The original tropical Victorian home, which is now known as the Grano de Oro, was a private family residence belonging to the Pozuelo family, built at the turn of the 20th century. The Hotel and Restaurante Grano de Oro and its staff continually focus on pleasing its customers and exceeding their expectations. The Hotel Grano de Oro is a member of two groups of boutique hotels: Small Distinctive Hotels of Costa Rica and Cayuga Sustainable Hospitality Collection. The owners of the Hotel and Restaurante Grano de Oro are the founders and the primary financial supporters of their own Social Project – Casa Luz, a home for adolescent mothers and their children. Many tourists visit Costa Rica to experience it´s natural beauty and flavorful culture – from San Jose to its many rainforests and beaches. Eldon and Lori Cooke were no different. However, they took it one step further when moving from Canada to Costa Rica over 20 years ago. In 2002, the Cooke’s were awakened to the country-wide, ongoing epidemic of young adolescent women who are sexually abused and often forced into prostitution. Eldon and Lori soon established the non-profit organization, Asociacion Reaccion en Cadena por Nuestra Ninez to address the existing and growing needs of this issue. Through this association, Casa Luz (“House of Light”) provides a safe environment and the necessary monetary, emotional, and psychological support victims need in order to help stop the pervasive cycle of abuse. The mission of Casa Luz is to break the intergenerational cycle of abuse and sexual exploitation of children in Costa Rica. This is accomplished by providing a safe, loving, Christian environment for at risk young mothers (age 15+) and their children. This environment provides the resources necessary to allow these families healthy and successful reintegration into society. Many adolescent girls throughout Costa Rica experience situations of physical and sexual abuse; often the perpetrators are members of their own family. Casa Luz provides a safe haven for these young girls that have children of their own or are pregnant. Through the course of the program, it helps the young mothers realize that they can have healthy lives, positive social interactions and a nurturing relationship with their children. The ultimate goal is to teach them the life skills needed to achieve a productive and independent future. 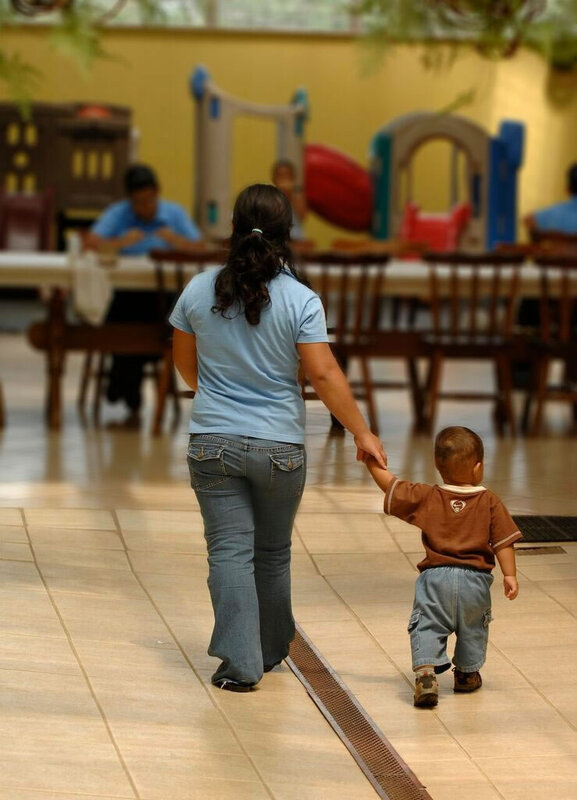 During Phase I, Casa Luz acts as a secure Christian home for up to 15 young mothers as well as their children. This fully assisted living facility provides a loving family environment with a staff of support professionals to nurture and aid in the physical, mental and educational development of both the women and their children. In Phase II, Casa Luz provides 10 single family independent living units for mothers who are 18 and have completed Phase I and demonstrated recognizable growth and maturity. Continued support is offered through day care, counseling and other services that allow the young women to finish school or enter the workforce – further developing the skills needed for full independence. Casa Luz is the only program in Costa Rica that offers continued individual support to young mothers after they have turned 18. If you would like to help Casa Luz with its mission to change the lives of young victims of abuse and sexual exploitation in Costa Rica please visit our website www.casaluz.org for information on how to make a tax deductible donation.